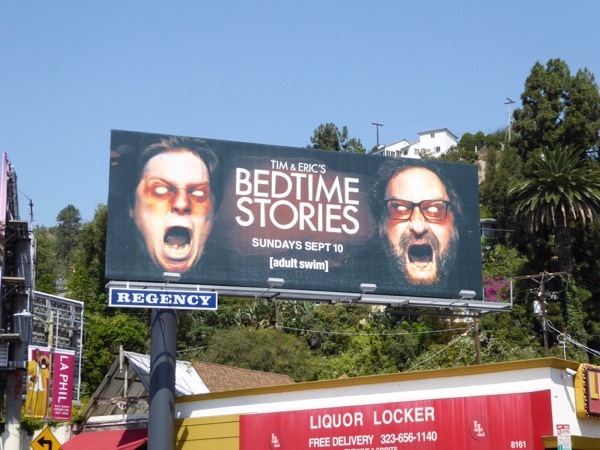 Daily Billboard has been holding on to these billboards for Tim & Eric's Bedtime Stories for a while now as they have a certain spooky Halloween horror quality to them, don't you think. 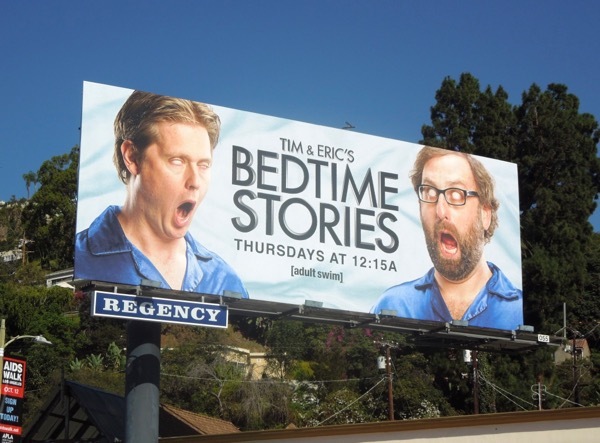 Tim Heidecker and Eric Wareheim bring their demented sense of humour to this anthology horror series to help give you nightmares before you go to sleep. 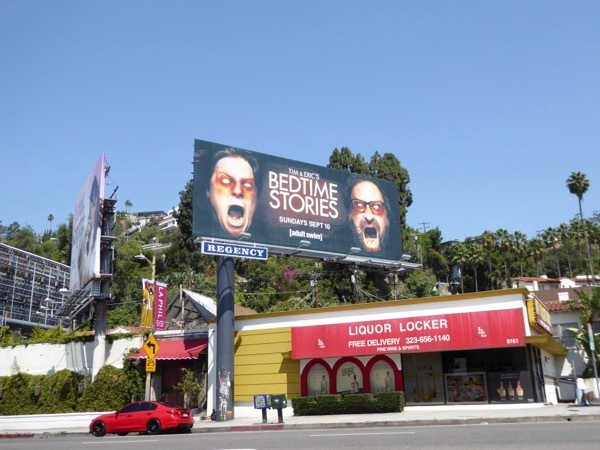 This darker sophomore season billboard was first spied along West Hollywood's Sunset Strip on August 28, 2017, whilst the lighter season one billboard was spotted in the same Adult Swim ad location on September 15, 2014. 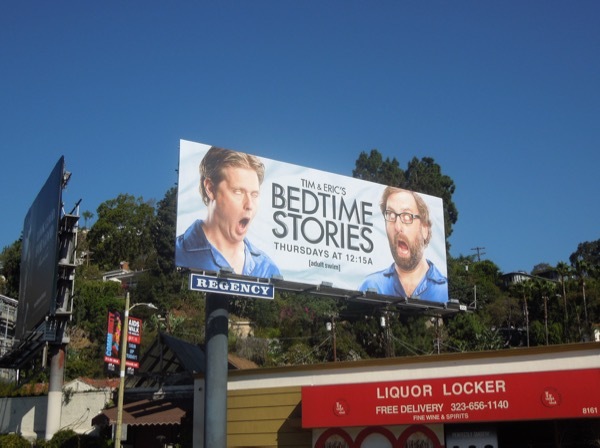 Both ad creatives look like the comedy duo have been taken over by pod people or possessed by evil spirits. 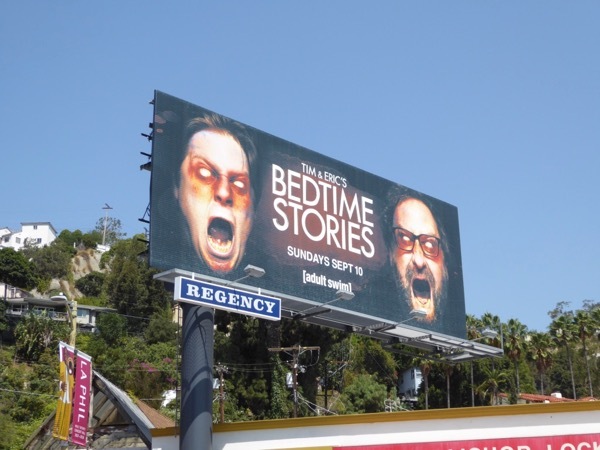 For more comedic horror this Halloween weekend, be sure to also check out these billboards for Boo! A Madea Halloween, these Ash vs Evil Dead TV billboards and these billboards for The Rocky Horror Picture Show TV remake. Sweet dreams and don't let those monsters under the bed bite.